Composer Ryan Molloy has been awarded a commission to create a ten minute piece of music for the Music Generation Laois Trad Orchestra, to be premiered in July 2017. Ryan will work with the Trad Orchestra, gathering ideas and influences from the group to help create this new composition. Dr Ryan Molloy is currently a composer and performer, Ryan’s work has been performed to international audiences on four continents for over ten years, including major concert venues such as Tanglewood (U.S.A.), Lucerne Hall, KKL (Switzerland), Kölner Philharmonie (Germany), Holywell Music Room (England) and Waterfront Hall (N. Ireland). In great demand as an accompanist, Ryan has recorded over a dozen albums and his repertoire spans numerous genres from traditional Irish music to contemporary classical music. The confluence of these two genres formed the basis of his PhD in composition at Queen’s University, Belfast, studying under Simon Mawhinney and Piers Hellawell. In September 2013, Ryan joined the Department of Music at the National University of Ireland, Maynooth as a lecturer in composition. 13 young harpists from Music Generation Laois will attend this year’s Edinburgh Harp Festival from the 31 of March to the 5 of April. Edinburgh Harp Festival is internationally renowned for its vast programme of workshops and concerts, and attracts musicians from all over the world. 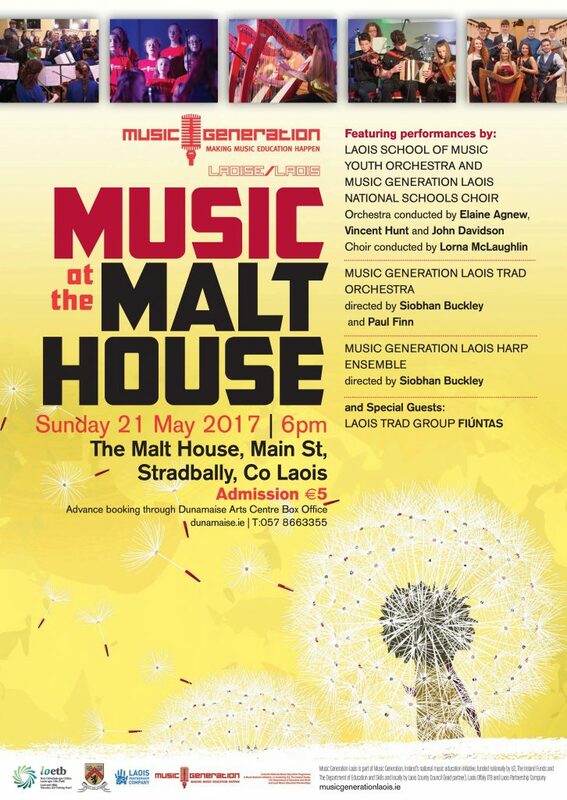 Members of the Music Generation Laois Harp Ensembles will attend this year’s Festival with their Tutor Siobhan Buckley. Music Generation Laois currently has 116 harp students and 2 harp ensembles, many of whom attend classes in their local primary schools. The Music Generation Laois senior harp ensemble collaborated with Scottish Harpist Catriona McKay in 2016 to create a new suite of music for harp ensemble, entitled ‘Rising of the Harps’ and most recently this group performed as part of ‘Avoca: A Celtic Journey,’ a 30th birthday concert for Music Network, with music for large-scale harp ensemble by Phillip Martin conducted by David Brophy. 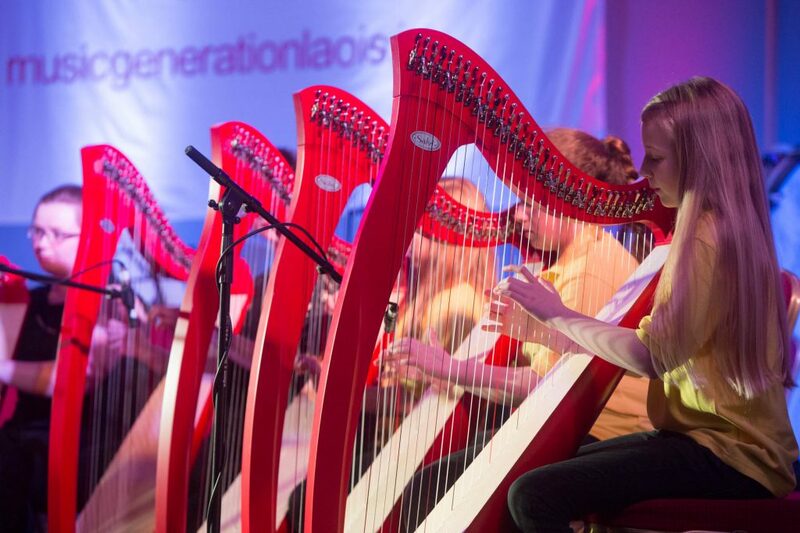 Music Generation Laois will host their 2nd annual Tionól for Harps and Pipes from the 3-5 November 2017, featuring workshops and performances from many well-known harpists and pipers. 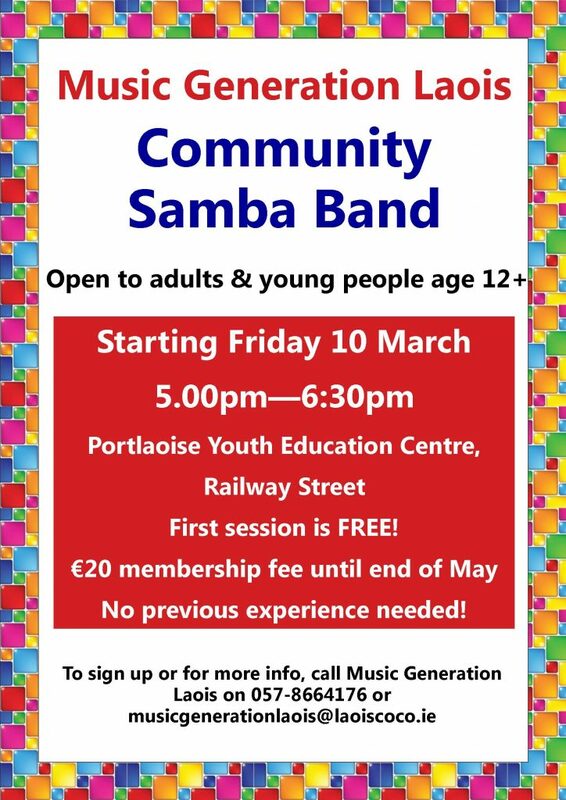 On Monday 27th February 2017, Music Generation Laois is delighted to announce it will host an inaugural ‘Brass Evening’ in Portlaoise Youth Education Centre, Railway Street. As part of the Brass evening, there will be an open session for anyone interested in taking up a musical instrument (7:15pm-7:45pm), workshops for those already playing brass (6-7pm), and a recital to include students, Music Generation Laois Brass Tutor Anthony Flannery and a performance by one of Ireland’s top trumpet players Niall O Sullivan (8pm). Anthony and Niall will also lead the workshop and master class. 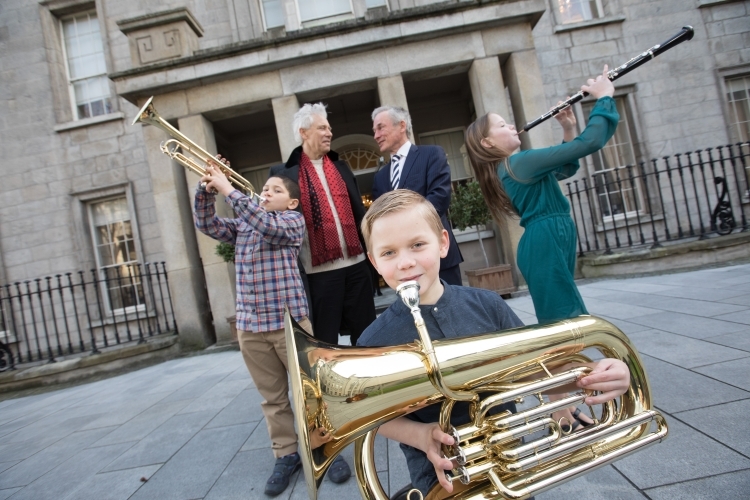 Brass instruments include trumpet, trombone, tuba, euphonium, French horn – Music Generation Laois offer economical group lessons and hire instruments. Brass instruments will be available to try on the evening. The event is open to adults and young people and costs €5, which includes admission to a recital by one of Ireland’s foremost Trumpet players Niall O Sullivan. The brass evening is now open for registration, contact Music Generation Laois on 057 8664176 or email musicgenerationlaois@laoiscoco.ie to register. Niall O’Sullivan is a cross-genre trumpet star, he started his musical career in the Artane Boys Band, Dublin. Niall has sold out venues across Ireland and the USA, and most recently performed as a guest artist for Josh Groban’s Irish tour. He has performed on numerous occasions with the RTÉ National Symphony and Concert Orchestra’s, and featured as a soloist for ‘Sunday Miscellany Live at Christmas’ where his rendition of Damian Rice’s ‘The Blower’s Daughter’ could be heard in homes throughout Ireland on Christmas morning. Niall has performed with some of the biggest names in music including Amy Winehouse, Michael Búble, Tom Jones, Dionne Warwick, José Carreras and has recorded with multi Grammy winning legend Larry Carlton, Danielle de Niese and Kim Criswell. He is also an international performing artist for Schilke Trumpets, Chicago.